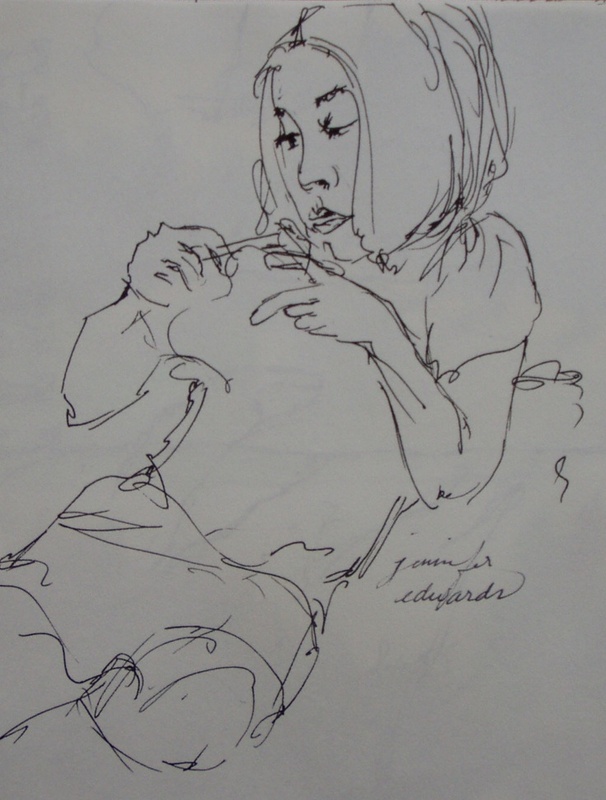 It’s fairly evident to me, the connection between my fascination with yarn and with line drawings… Strings of either fiber or ink woven together to make a pleasing whole. Besides drawing and painting, my husband and family, knitting and crocheting are pretty high on my list of favorites. With cooler weather comes a desire to have yarn run through my fingers, either with a hook or some needles. My oldest can crochet ANYTHING, as long as you do NOT give her a pattern! :) And my littlest is learning and doing quite well. 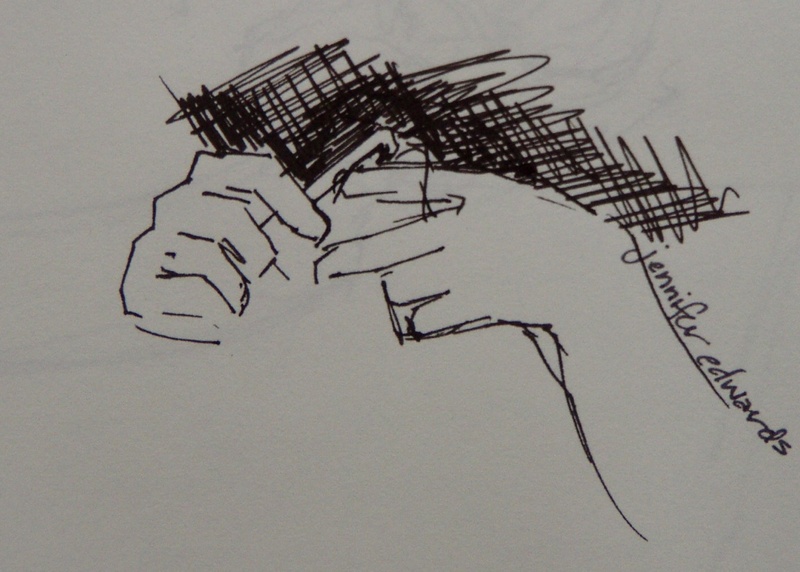 These are just a couple of sketches done very quickly while she was crocheting. These are great – the hands are just so ….. right!